Any players want to enjoy the presence of nostalgia and the old school feel of minecraft? Well you are in the right place! This discussion was originally set up so I could find old beta servers that I could play on, but guess what? This seemed to help other old school players! This is now specially created for people who wish to play on old 1.7.3 servers, and enjoy the nostalgiac feeling within their own home. Please run through the list and enjoy playing on the servers and have fun! 198.154.114.135 (if it does not work try this one) 69.175.65.185 (aaaaaand if that doesnt work, please check this website from where this server came from here. Please enjoy yourselves and have a great time playing the gold old Beta servers!!! Idk here is my beta server for Beta 1.7.3. Ill just copy it from server page. Have you ever wanted to play on a Beta Minecraft server with tnt, griefing, and raiding allowed? Well then Beta Adventure is for you! You can start a civilization, hell, even destroy one! If you like these kinds of servers then join today using the IP at the top! I am taking staff applications. 69.175.74.84:25588. Server is 24/7 and has custom plugins you won't find on any other Hmod server. ﻿Requires multiMC launcher to join. Join BetaLands the most active beta server in 2018! BetaLands has been running for over 3 years, originally started in June of 2015! We've had over 15 - 20 thousand original players join since 2015! We've been the biggest and the baddest for a long time and want to fulfill our dream to revive beta minecraft. Click here for the official dynmap! hey, been playing on these old servers, really fun! ill be joining soon. miss the old minecraft dont we all. The server has changed ip to 188.165.56.185:31802.
i had one laying around from an old server of mine. if anybody needs it just contact me or join my discord https://discord.gg/P2DFv8M i can give you a copy of the file. Hey guys just finished up a post about my private server. I see that most beta 1.7.3 servers get exhausted pretty quickly. My one will be nice and fresh. Just read the specifics on this post. Hey guys, my names Voltra_Man aka Volt. I have made a brand new Minecraft Beta 1.7.3 server of pure survival. It is in honor of the amazing, now dead, BetaLands server that was hosted by Sweetz. My server is fresh, so hope you guys can join. and have fun! where did u get the server file? Any of these actually work? New Frontier Craft is a good server that is currently working on new additions for beta 1.7.3 and is still in developement, currently their are a lot of new ores and metals, writable books, bookshelves that hold the books, and other very interesting additions. If I'm able to post a link to YouTube then you will be able to install NFC and join the server. I have a server. Please add it to the list. Add StickyServers.net to the list please. We are looking to expand with more great community members. Hope to see some new faces online in our new server. Unless of course... You might be trying the wrong version or typing in the ip wrong. Did you click on the hotlink? 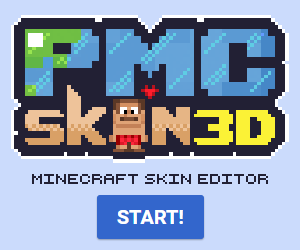 Diamonds to you for making a 1.7.3 server Page! Lucky I checked here at planetminecraft! I Have A Really good One, Its Up 24/7 Its Called Beta Craft. Oh thank god for this freaking amazingness. Please do not convert the server back to the current versions, its just too amazing! Keep the server up! its so amazing! Is it still open?I would really like to join it. I have one! It's beta 1.7.3 Hamachi ID- MCAlphaMAC Pass- 123 and the IP is 25.174.22.0. Hey ive got a 1.6.6 server er are only 2 people yet bit will Get more. Of u rant to Join send me an aplication! Why I want to join: I miss beta! dude join this server! there is PVP and no griefing and no stealing and factions! it has awesome staff! Yes I have been to this server and I loved it! But I already found this out about 3 months ago but I lost the ip. Thanks for your help! most of the servers are really outdated or they are offline. Theres really no hope to find a good server there with that category.